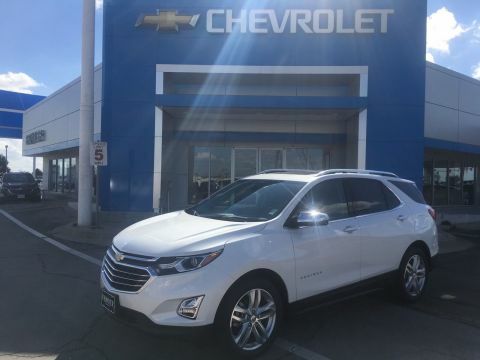 This Chevrolet Equinox has a strong Turbocharged Gas I4 1.5L/92 engine powering this Automatic transmission. 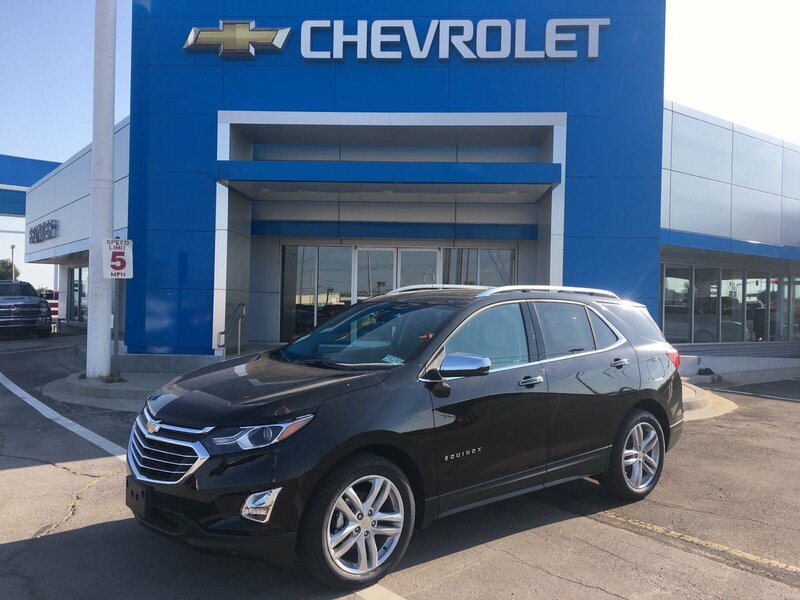 WHEELS, 19 (48.3 CM) BRIGHT MACHINED with Sparkle Silver pockets, TRANSMISSION, 6-SPEED AUTOMATIC, ELECTRONICALLY-CONTROLLED WITH OVERDRIVE includes Driver Shift Control (STD), TIRES, P235/50R19 ALL-SEASON BLACKWALL. 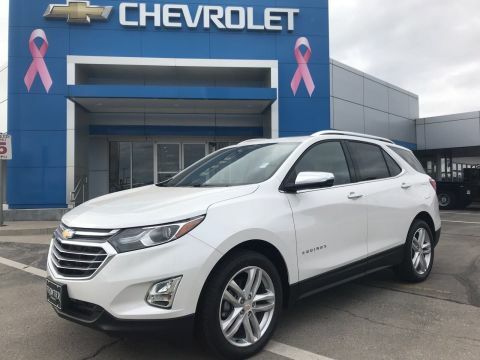 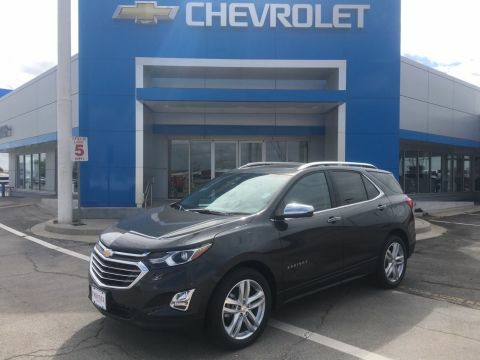 *These Packages Will Make Your Chevrolet Equinox Premier the Envy of Onlookers*INFOTAINMENT II PACKAGE includes (IOT) Chevrolet Infotainment 3 Premium system with connected Navigation and 8 diagonal HD color touchscreen, (UQA) Bose premium 7-speaker system and (U2L) HD Radio, DRIVER CONVENIENCE II PACKAGE includes (UVD) heated steering wheel, (AG2) front passenger 8-way power seat adjuster with power lumbar, (KU1) ventilated driver seat, (KU3) ventilated front passenger seat and (KA6) heated rear seats, DRIVER CONFIDENCE II PACKAGE includes (UHY) Low Speed Forward Automatic Braking, (UEU) Forward Collision Alert, (UHX) Lane Keep Assist with Lane Departure Warning, (UE4) Following Distance Indicator, (HS1) Safety Alert Seat, (UV2) HD Surround Vision, (KSG) Adaptive Cruise Control - Camera, (UKJ) Front Pedestrian Braking and (TQ5) IntelliBeam headlamps, CONFIDENCE & CONVENIENCE II PACKAGE includes (BGP) Driver Confidence II Package and (ZQ3) Driver Convenience II Package content SEAT ADJUSTER, FRONT PASSENGER 8-WAY POWER WITH 2-WAY POWER LUMBAR, SAFETY ALERT SEAT, RADIO, HD, PREMIER PREFERRED EQUIPMENT GROUP Includes Standard Equipment, MOSAIC BLACK METALLIC, MEDIUM ASH GRAY, PERFORATED LEATHER-APPOINTED SEAT TRIM, LPO, WHEEL LOCKS includes 4 locks and 1 key, LPO, INTEGRATED CARGO LINER. 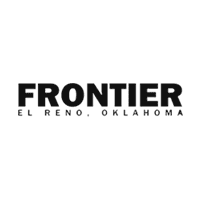 *Stop By Today *Stop by Frontier Chevrolet located at 1640 East Highway 66, El Reno, OK 73036 for a quick visit and a great vehicle!